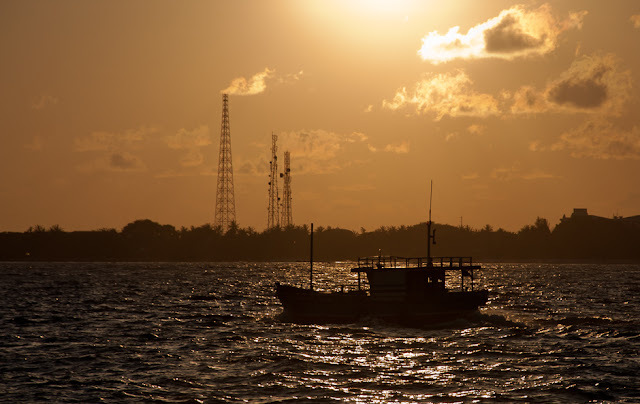 A slow boat, probably carrying cargo and passengers to inhabited island, silhouetted against a golden sky. Can anyone tell me the name of the island in the background? Its Villingili, right? nice shot!! love the mood!